The man in charge of Pa.’s commutation system says it’s broken. Can it be fixed? Lt. Gov. Mike Stack III is using his last days in office to call for sweeping reforms to Pa.'s commutation process. For the last four years, Kathleen Brown, a University of Pennsylvania nursing professor emerita, has been traveling to Pennsylvania prisons with her students, helping men and women serving life sentences petition the state Board of Pardons for clemency, their only hope of seeing some years outside prison walls. Racial disparities plague Pennsylvania’s life-without-parole system — but can it be fixed? Innocent — and stuck in prison for life? “After thousands of hours of volunteering all this time in prisons, I can’t solicit hope from inmates if there isn’t any,” she said. “That’s just ethically wrong. I can’t do it, and I shouldn’t ask students to do it." After all her efforts — and under a Board of Pardons chaired by a lieutenant governor, Mike Stack III, who has made access to clemency his top priority — just two lifers have been granted commutation since Gov. Wolf took office nearly four years ago. It’s an indication, according to critics and Stack himself, that the system is broken. Stack, a Democrat who lost his reelection bid in the primary, is using his last days in office to call for sweeping reforms, including removing politicians from the Board of Pardons and eliminating the requirement for a unanimous vote to recommend that the governor commute a life sentence. Attorney General Josh Shapiro — the other politician on a five-member board that also includes a corrections expert, a psychologist, and a victim advocate — declined to express an opinion on whether the process is working adequately or is in need of reform. However, he denied that politics figures in his decisions, each of which he said is rooted in a careful review of the case. Changing the composition of the board would require a constitutional amendment — a process that takes several years, two acts of the General Assembly, a voter referendum, and towering heaps of political will. A more direct avenue, Stack said, would be through the legislature, where Philadelphia lawmakers this fall unsuccessfully pushed a bill that would have made lifers eligible for parole after 15 years. The way Stack sees it, something has to be changed. The number of people serving life without parole in Pennsylvania has more than tripled in 30 years to a total of 5,400, a record surpassed only by Florida. Whereas more than 600 Pennsylvania lifers were paroled from the 1930s through the ’70s, and hundreds more received commutations, such opportunities grew scarce in the `80s and all but vanished in the ’90s, after a lifer named Reginald McFadden went on a murder spree just days after being set free from Graterford Prison in 1994. That’s what prompted lawmakers to draft the constitutional amendment requiring commutation votes to be unanimous. 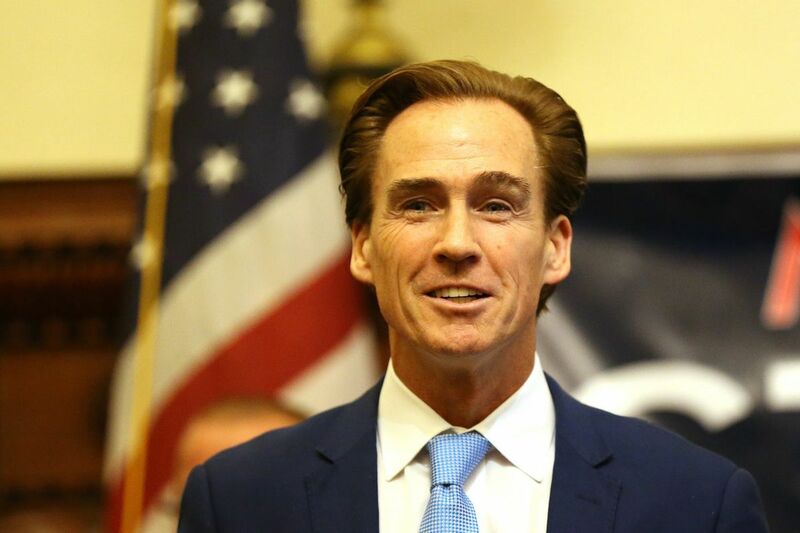 Today, Stack said, politicians have not forgotten the disastrous consequences for Mark Singel, whose eight-point lead in the 1994 governor’s race evaporated when voters learned he had signed off as lieutenant governor on McFadden’s release. Out of more than 200 commutation applications the Board of Pardons looked at in four years, it recommended five to the governor. William Smith — 76 years old and using a wheelchair — became an example of the arduous and narrow path lifers face. Despite his age, his failing health, his half-century in prison, and his reputation as a model inmate, he was denied commutation this year when Shapiro voted against him. Shapiro later changed his vote after the son of Charles Ticktin, the victim in the fatal 1968 robbery, told an Inquirer reporter he did not oppose commutation, and after Philadelphia District Attorney Larry Krasner indicated support for the application. Smith’s petition is awaiting action from Wolf. But a series of subsequent rejections of men who are considered role models has sent waves of despair across the prison system, inmates said. One was Craig Datesman, 65, a Quakertown man who has maintained a misconduct-free record over 36 years, and served as a mentor and leader in prison. Datesman, who fatally shot Jeff Birli in an argument in 1983, waited 25 years before applying for commutation. “I didn’t want to file earlier, because I didn’t know for sure how the victims felt,” he said. But in 2009, Birli’s sisters promised their support. Mitzi Birli Foulke, 60, of Quakertown and Janice Birli Airey, 53, of Birdsboro, traveled to the capitol June 28 to support commutation for Craig Datesman, who killed their brother. Foulke even met with the Bucks County District Attorney, Matthew Weintraub. He was not persuaded. The majority of those 200 applicants did not even receive a public hearing. For example, by a 4-1 vote, the board declined to hear the application of George Trudel, who has served more than three decades for a murder his friend committed in 1986 while Trudel stood by. The friend, who stabbed a man named Casimir Barowiec during an argument, was released after just seven years, but Trudel, who was tried separately, got a harsher sentence: life without parole. He’s been described as a model inmate who earned a bachelor’s degree in prison, one class at a time over 17 years. Stack confirmed that that has been a source of tension on the board. Thurmond Berry arrives at a law class at the University of Pennsylvania to speak to students. He served nearly four decades of a life sentence. He is one of two men to be released by way of commutation since Gov. Wolf took office in 2014. Stack made Pennsylvania history this year: He is the first incumbent lieutenant governor ever to lose his primary bid for re-election. That outcome, and the scandals that fueled it, could easily overshadow his accomplishments in improving access to pardons, which are typically granted for minor, long-ago offenses for which all time has already been served, and clear the record for people who may be applying for jobs, volunteer opportunities or professional licenses. Those initiatives include reducing the lag time on pardon applications from five years to 21 months, holding dozens of “Pathways to Pardons” workshops to encourage applications; and, coming soon, a far-simpler pardon application. In the future, applicants will not have to track down driving records and background checks, and the dreaded essay question will be optional. Stack said that if, for instance, a middle-aged man arrested for streaking in college doesn’t, decades later, feel deep shame over the crime, he shouldn’t have to write an essay professing that he does. So, he’s starting a nonprofit, the Second Chances Foundation, to advocate for continuing and expanding this work. To his mind, the process is in dire need of modernization. Ideas include an app where one can apply for a pardon, pardons hubs where navigators can help people complete applications, “paper-only” consideration for decade-old, nonviolent cases in which a hearing is an undue formality, and automatic expungements for those who receive pardons. His larger goal, though, is to ignite a political movement. Larry Stephenson with his sons was featured in a 2014 Daily News cover story. Both earned advanced degrees, and credit their father's parenting from state prison. In one of the last sessions in Stack’s term as head of the pardons board, Darren Stephenson showed up to plead for clemency for his father, Larry, who at 69 has served 45 years of a life sentence. Darren was just 5 when his father participated in an armed robbery that proved fatal, though the father has said his gun discharged accidentally. According to a news account of the court proceeding, the sentencing judge assumed Stephenson would ultimately be paroled. Instead, his petition was denied unanimously by the Board of Pardons. Darren Stephenson said the process feels opaque and confusing. But his father took to heart the board’s concern about respecting crime victims’ rights, and recently launched a campaign to get all lifers to donate $5 a month for a victim relief fund. He has not lost hope, although he could be 74 before he has another turn before the Board of Pardons.